Sunac China Holdings Ltd, the Chinese mainland's fourth-largest developer by sales, said it will invest 6.28 billion yuan (901.7 million U.S. dollars) to acquire all the design, construction and management companies under Wanda Culture Travel Innovation Group, according to a statement released on Monday. Wanda Group already sold Sunac a 91 percent stake in its 13 cultural and tourism projects for 43.84 billion yuan (6.29 billion U.S. dollars)in July last year. The deal included shopping malls, amusement parks, hotels, film industrial parks, aquariums and bars. 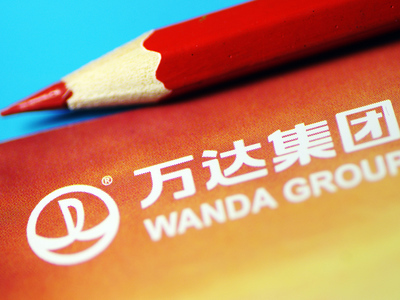 At that time, the two sides agreed that the branding, content and operational management rights would remain with Wanda. The new agreement gives Sunac full control of the group and management rights. Wanda said the earlier cooperation model was "inconvenient", and the projects would develop more smoothly with the owner also controlling design and operational management. The group said it will continue to cooperate with all investors, including Sunac, according to its statement. So far, six Wanda Cities are under operation and seven more are under construction, according to the company. The group said in its statement that it will fully support Sunac in the opening of new Wanda Cities projects. Sunac said the acquisition will further raise the operational efficiency of its already purchased projects, and improve their profit-making ability and asset value. The deal will also help Sunac to speed up its brand impact in the cultural and tourism sector, the company's statement said. Chinese billionaire Wang Jianlin, chairman of Wanda Group, said earlier that the group's cultural and tourism projects create 100 billion yuan (14.4 billion U.S. dollars) in debt on average annually, placing Wanda under significant financial pressure. "Wanda will rid itself of the heavy burden of its culture and tourism projects through the deal, and focus on its most valuable operations, furthering its shift toward a light-asset business model. We can see that Wang is determined to transform Wanda," said Chinese financial magazine Caijing.